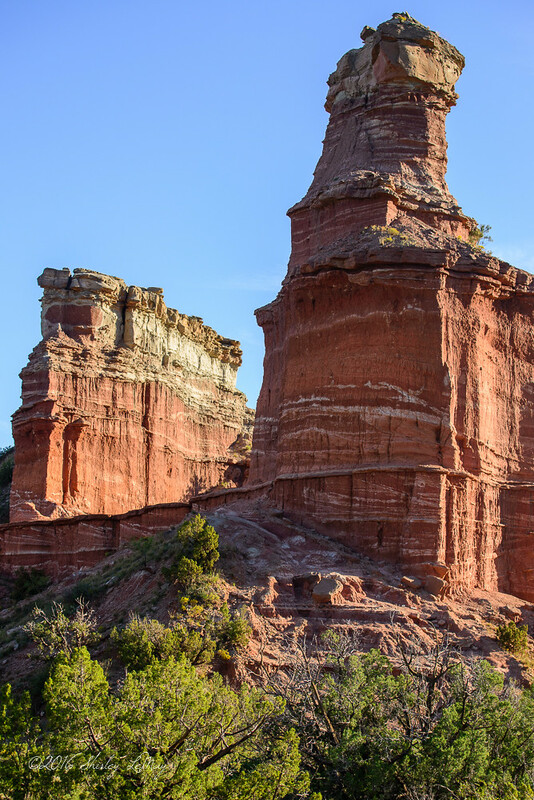 Did you know the panhandle of Texas is the home to second largest canyon in the US? 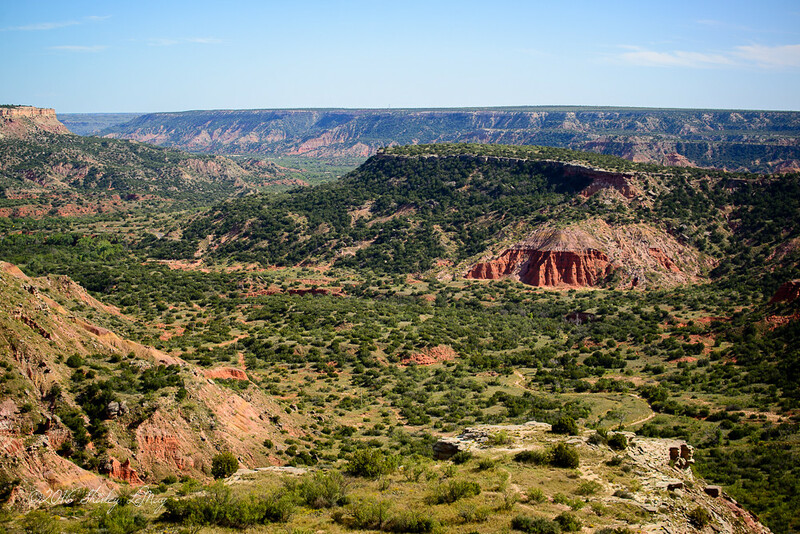 Palo Duro Canyon State park, 30 minutes from Amarillo, emerges from a crest in the highway and you wonder if you've been transported out of Texas. I visited the Amarillo area twice in 2016 - once with my daughter for her Collegiate Equestrian Competition, then again in September for work. 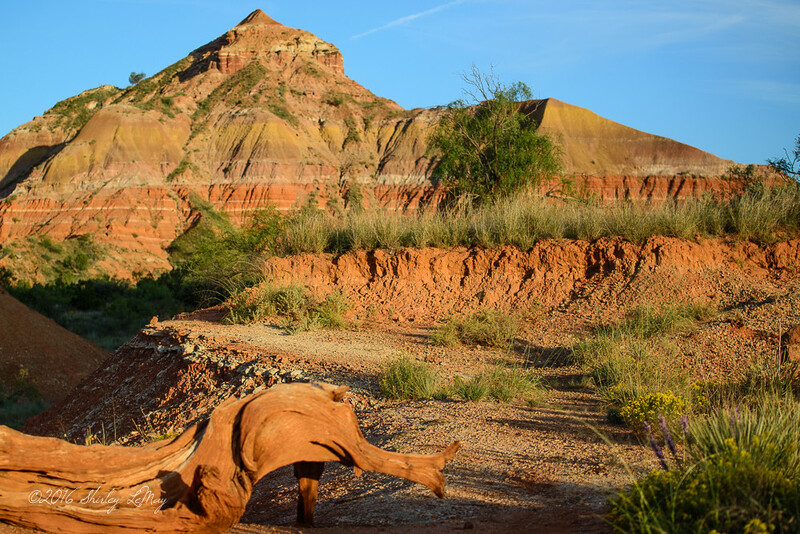 During the first trip, I saw travel brochures featuring the Canyon, but I didn't have time to explore the area. 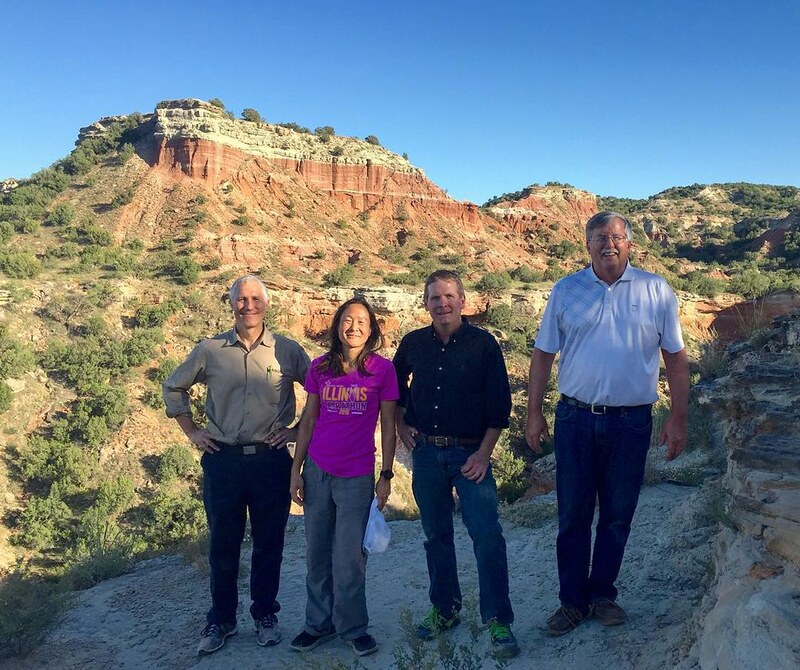 In the fall, several of my co workers and I decided to take an afternoon to explore and hike one of the trails, the popular Lighthouse trail (6 miles round trip). 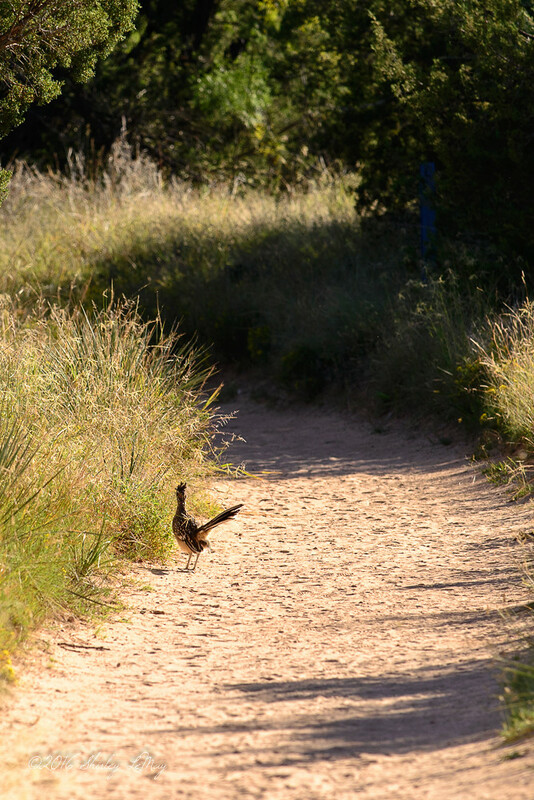 The Road Runner doing what he does best - running away! We made it to the Lighthouse. You can climb up to the very top of the left structure. I chose not to. A group of teen boys passed us on the trail and they managed to get to the top. 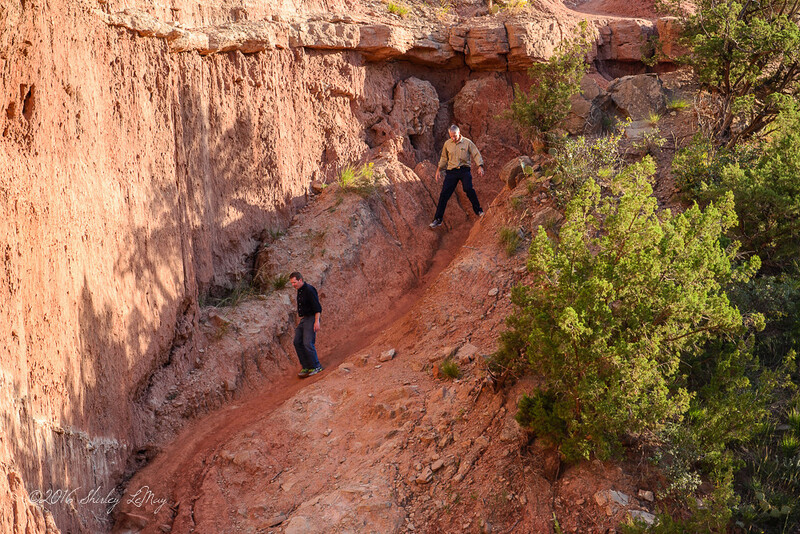 Two of my co workers started the ascent to the top, but they stopped short when confronted by a 10 foot vertical section of rock. Age makes you smarter I think. The sun started to set as we made our way back to the parking lot. Such beautiful colors in this canyon. 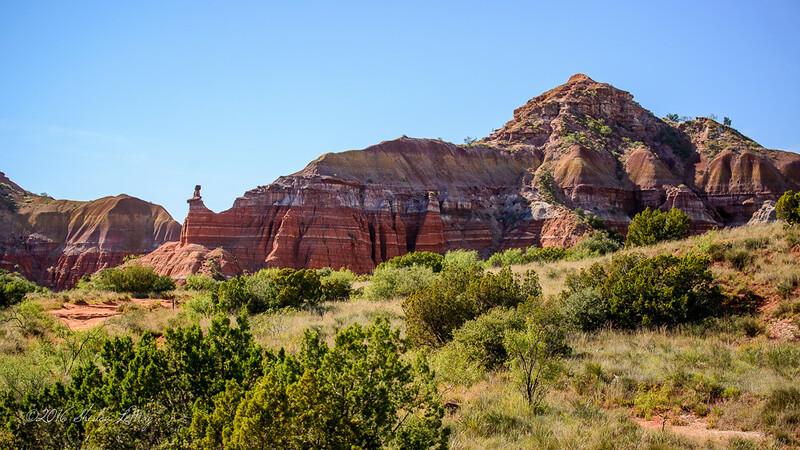 If you ever find yourself traversing the Pan Handle of Texas, it's a great place to visit. Stunning views, Shirley! I love the Roadrunner... such intriguing birds!